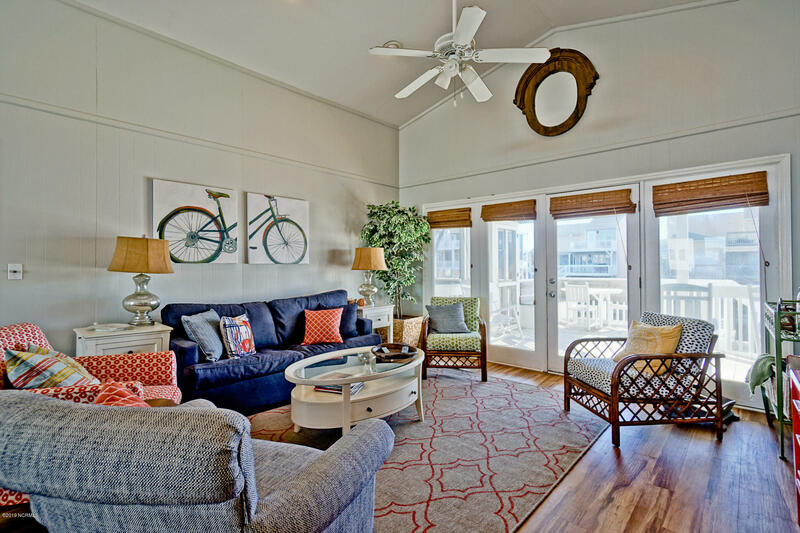 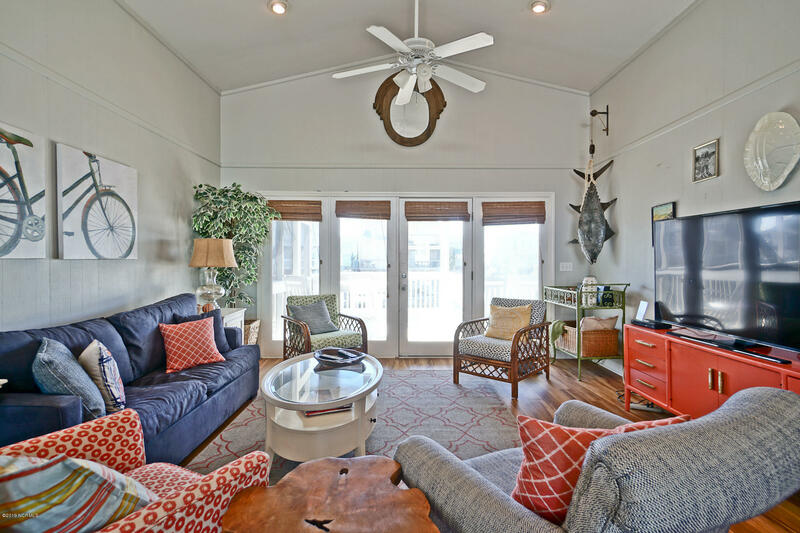 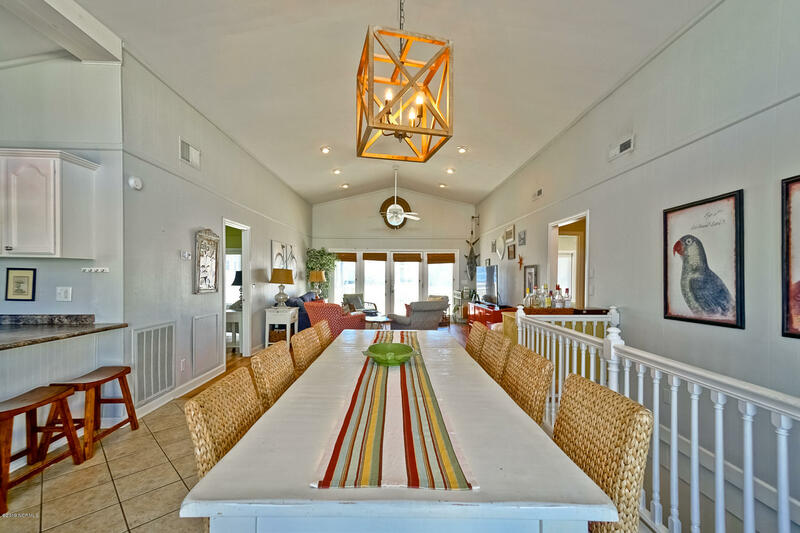 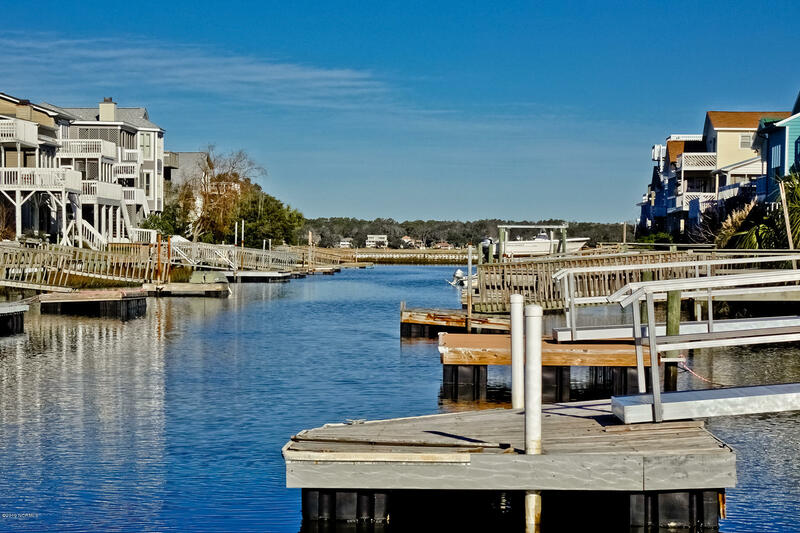 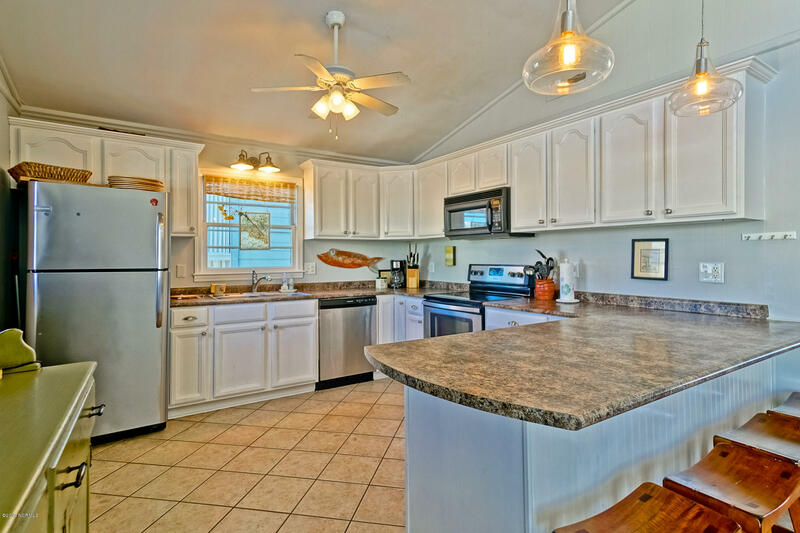 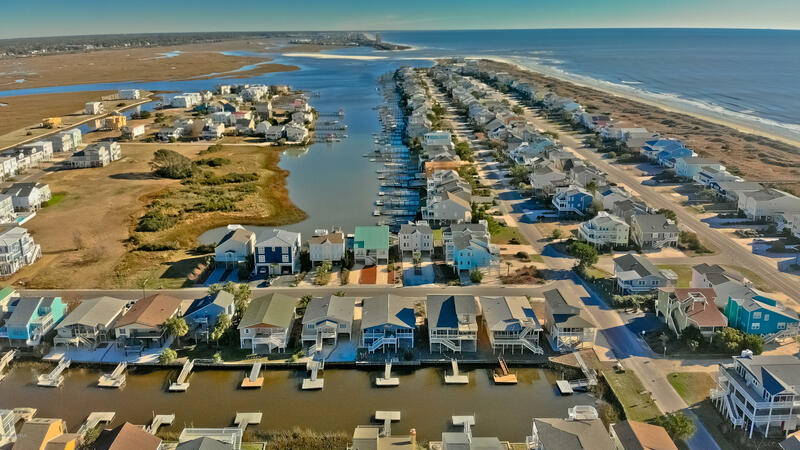 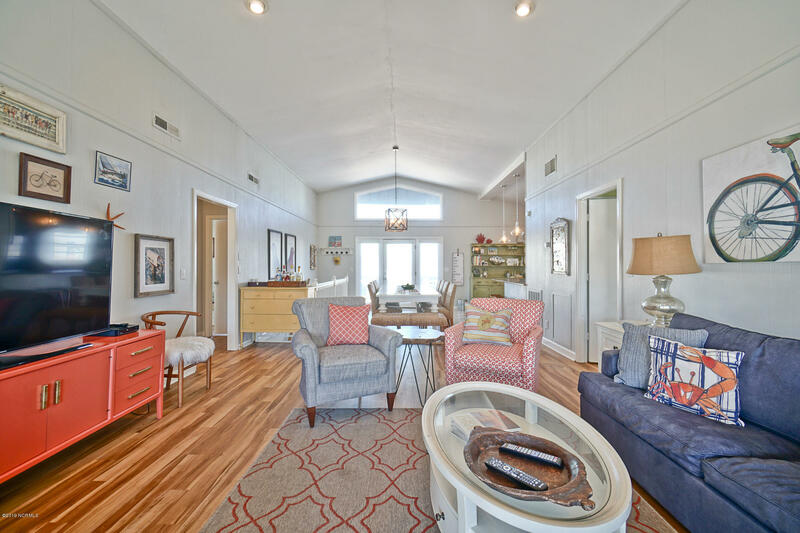 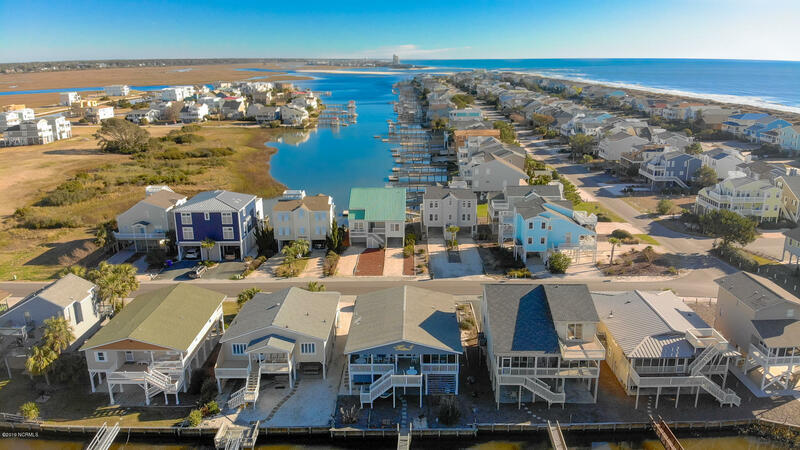 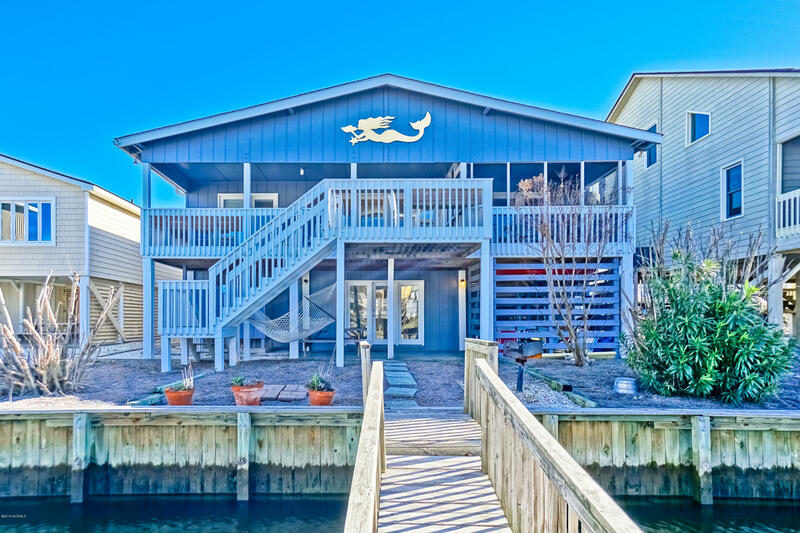 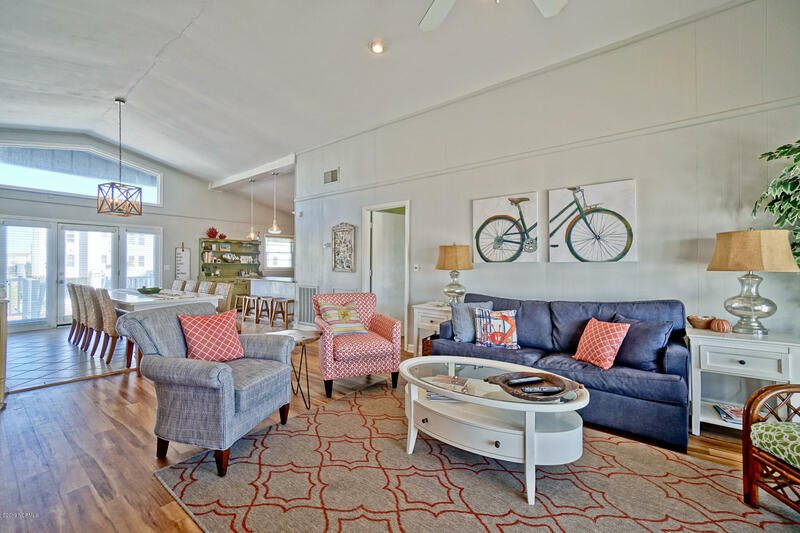 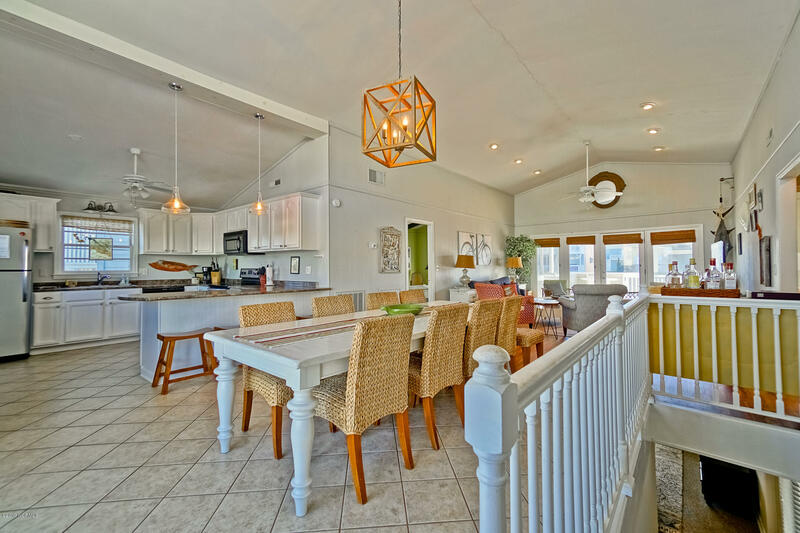 Welcome home to one of the coolest and most spacious canal homes at Sunset Beach! 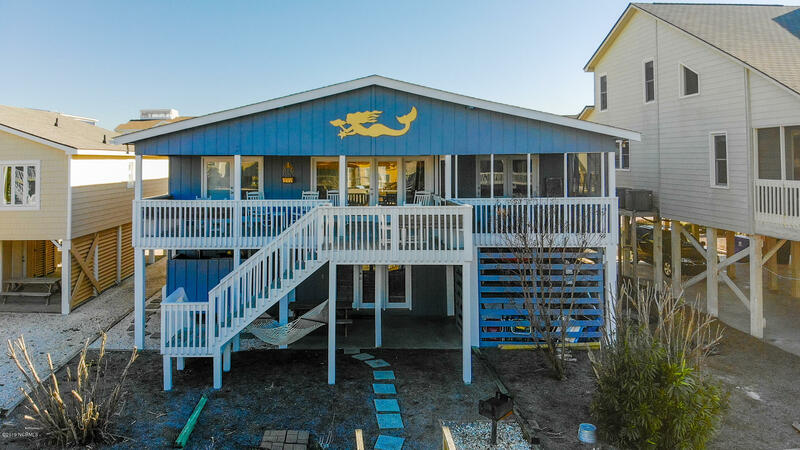 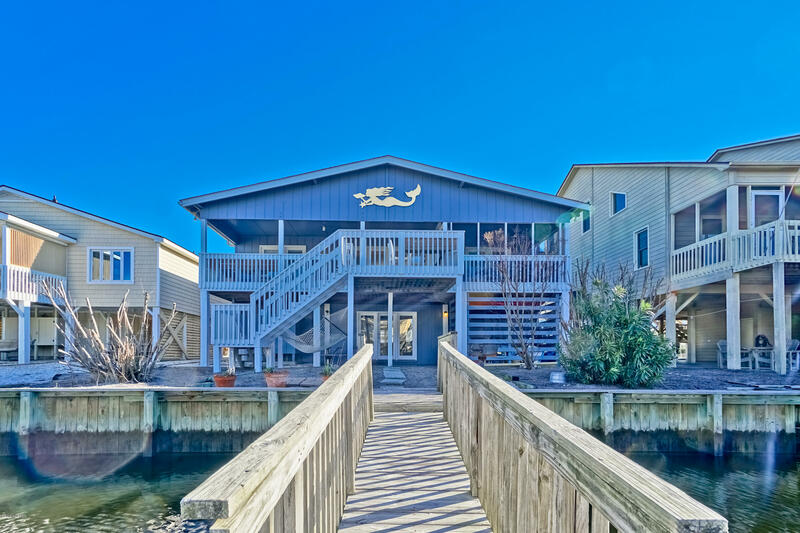 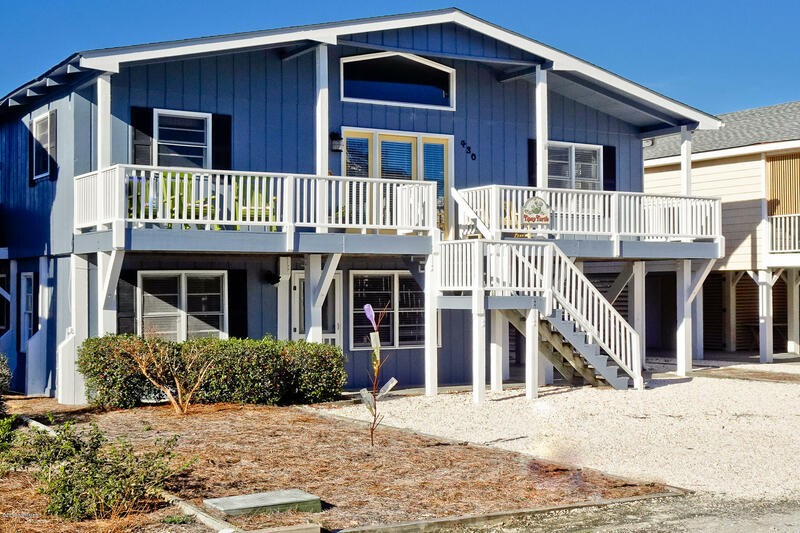 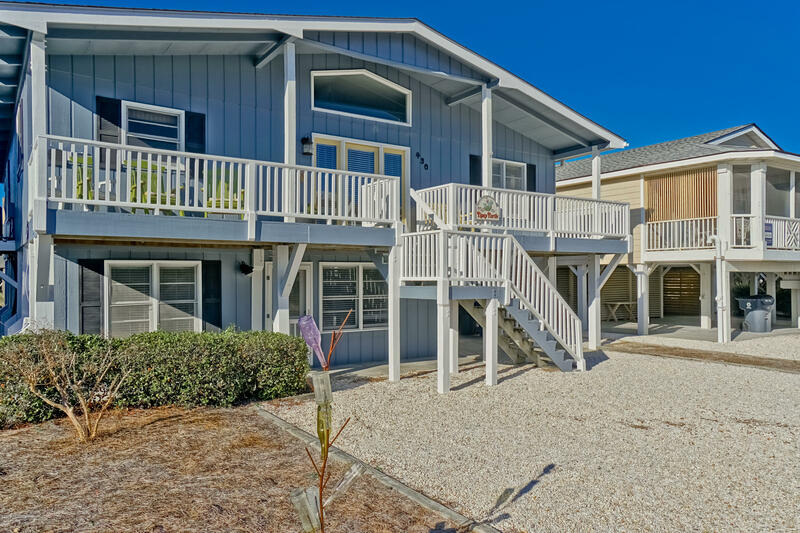 With 5 large bedrooms, 3 full baths , two separate living areas, vaulted ceilings and open floor plan you will see why this is the best beach cottage on the Island! 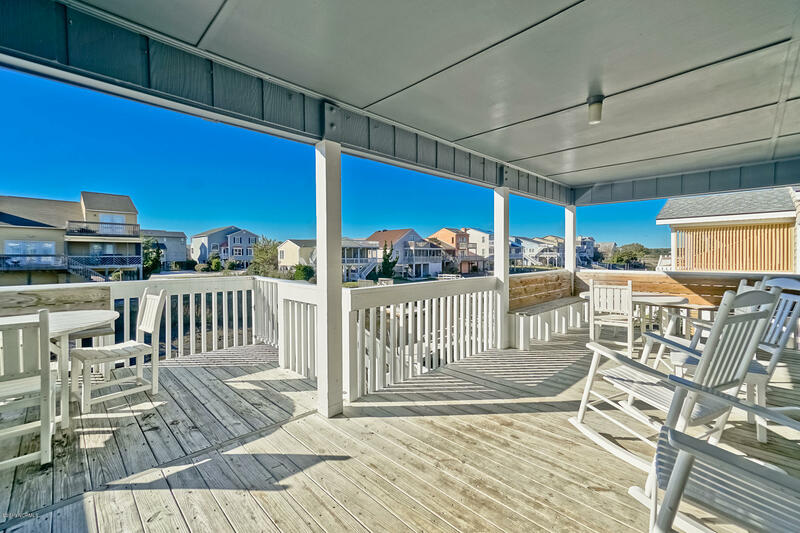 The summer of 2018 generated $32,000 in rental income which is phenomenal! 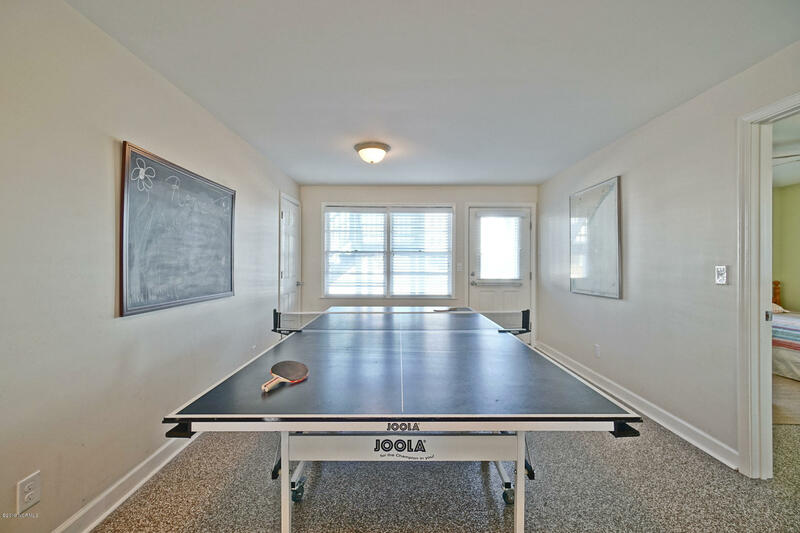 You can access the downstairs (has a ping pong table too!) 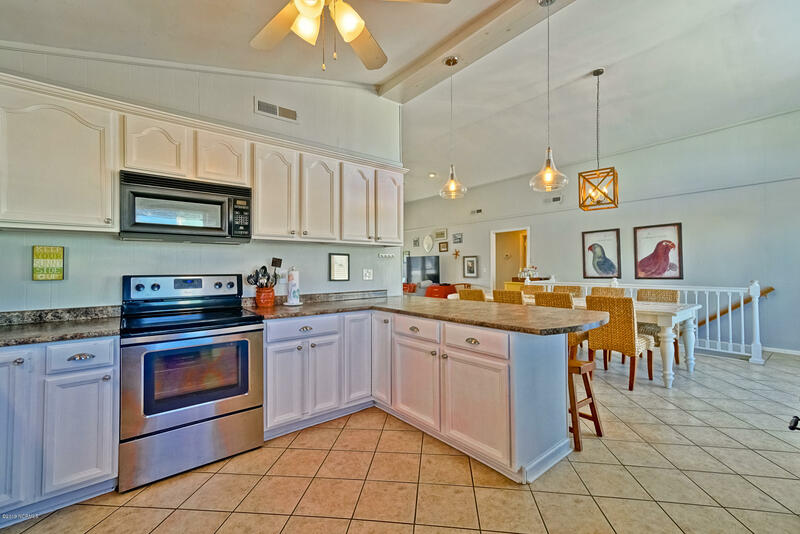 from the open interior stairs and everything is grandfathered in and has flood insurance! 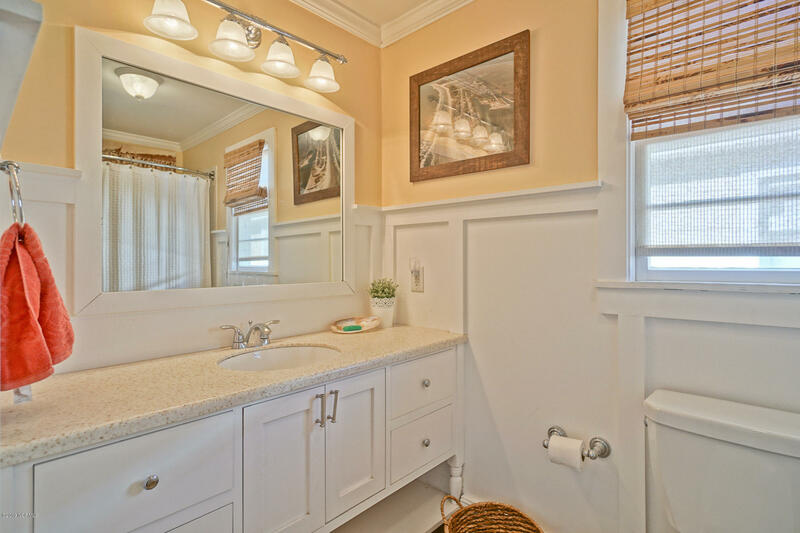 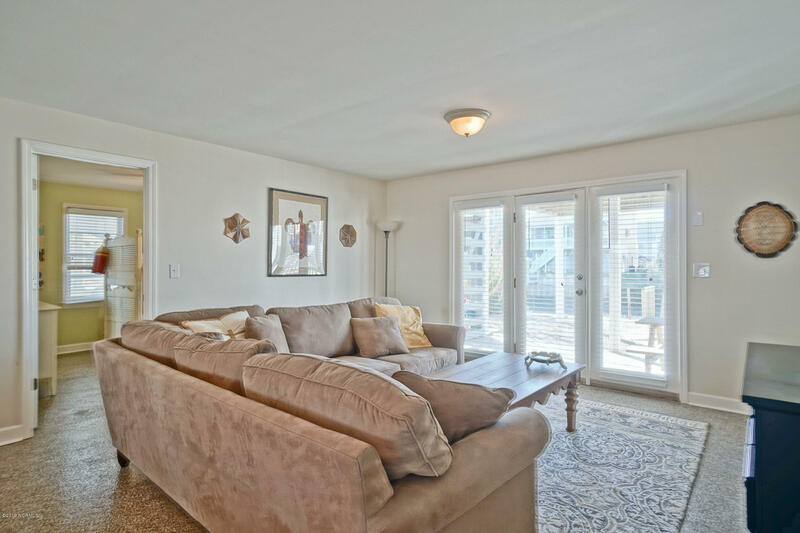 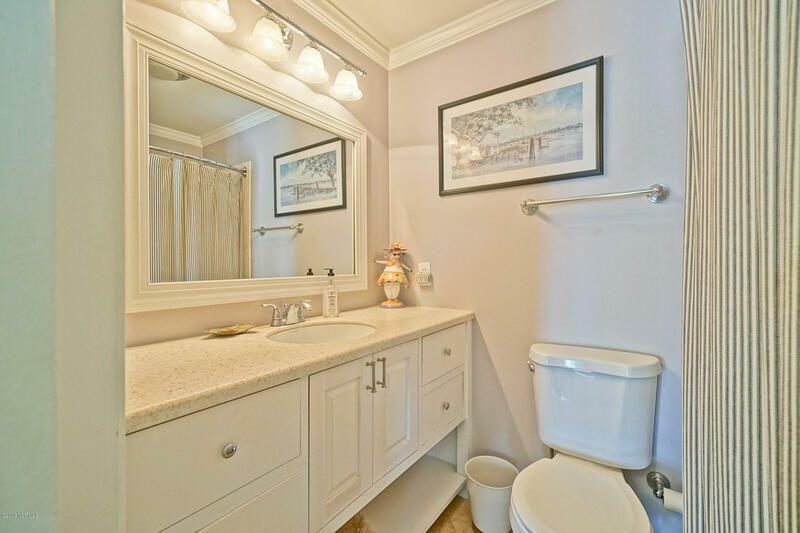 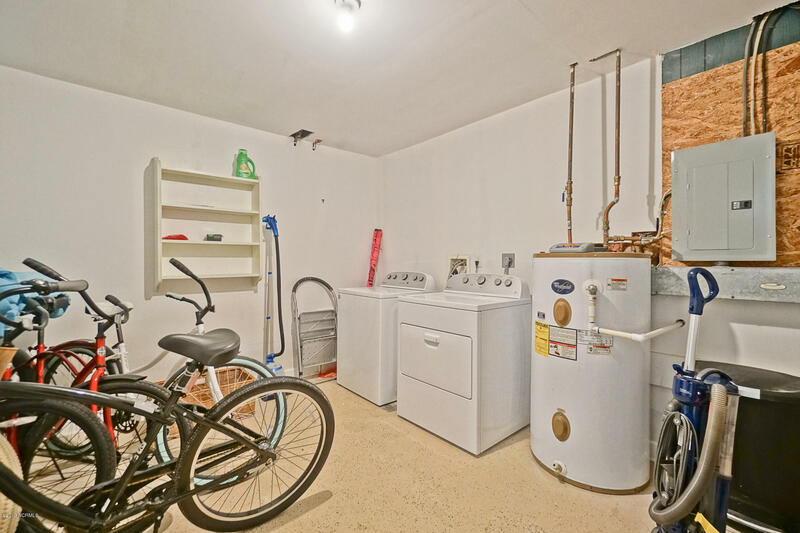 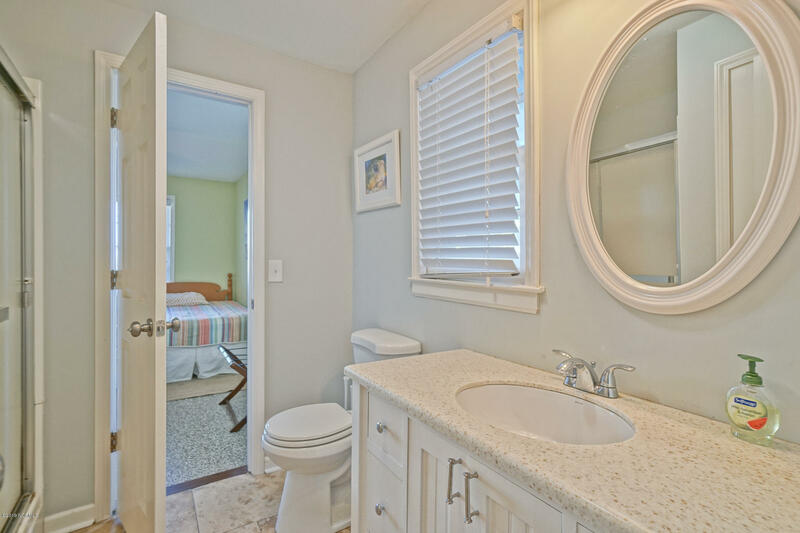 It has been meticulously maintained and upgraded over the last few years with new flooring throughout 2018, exterior paint 2018, new appliances 2016, HVAC units replaced last year, totally remodeled baths with Travertine Tile, just for starters. 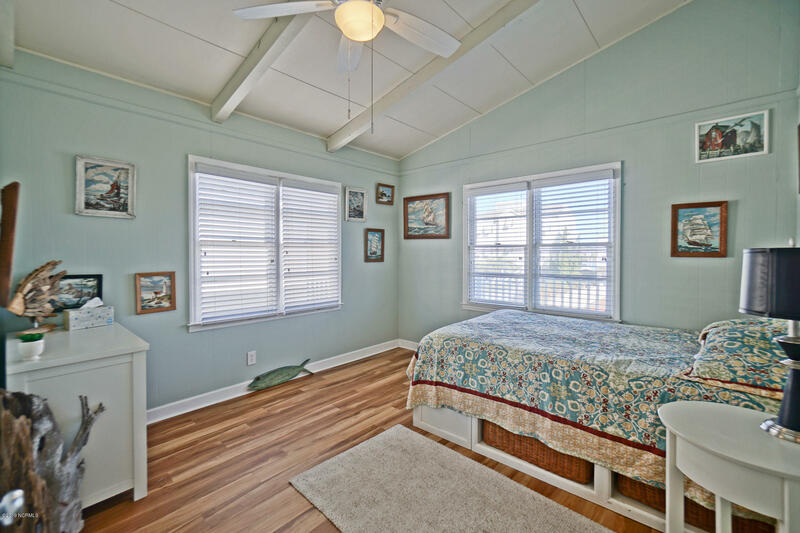 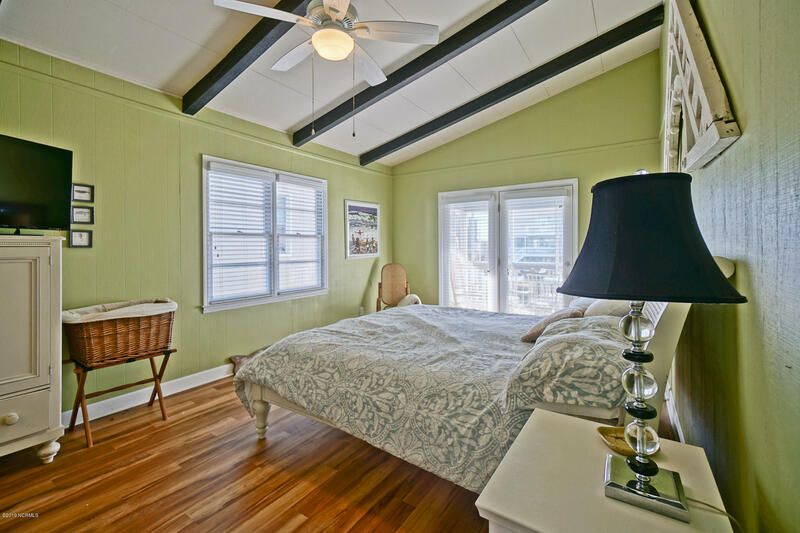 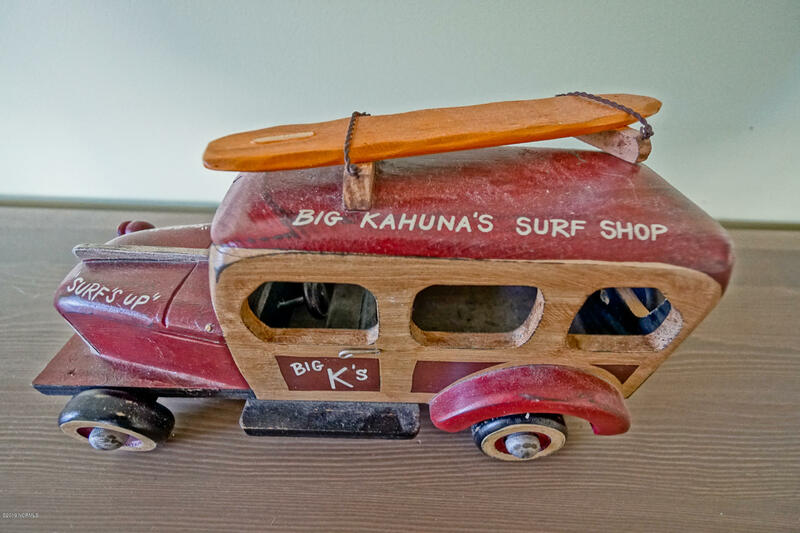 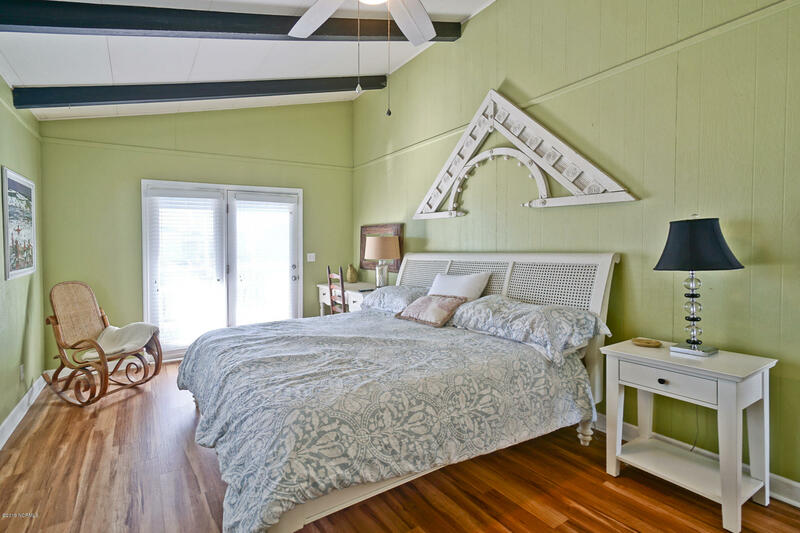 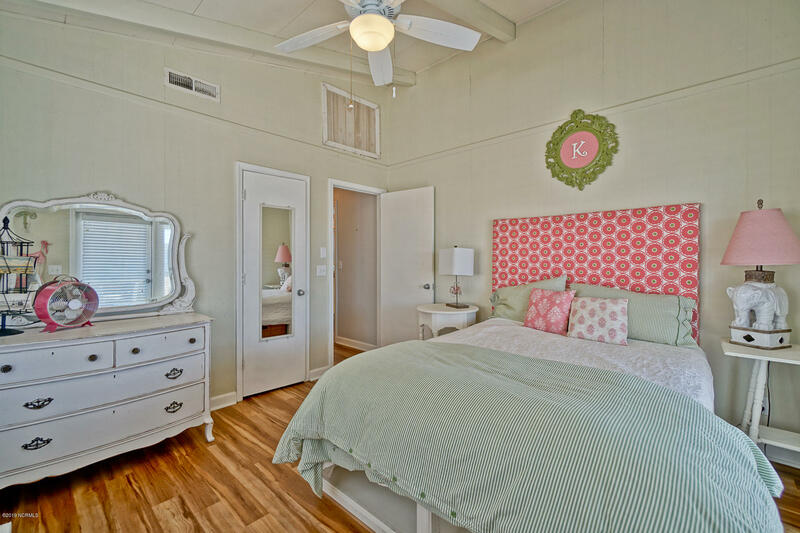 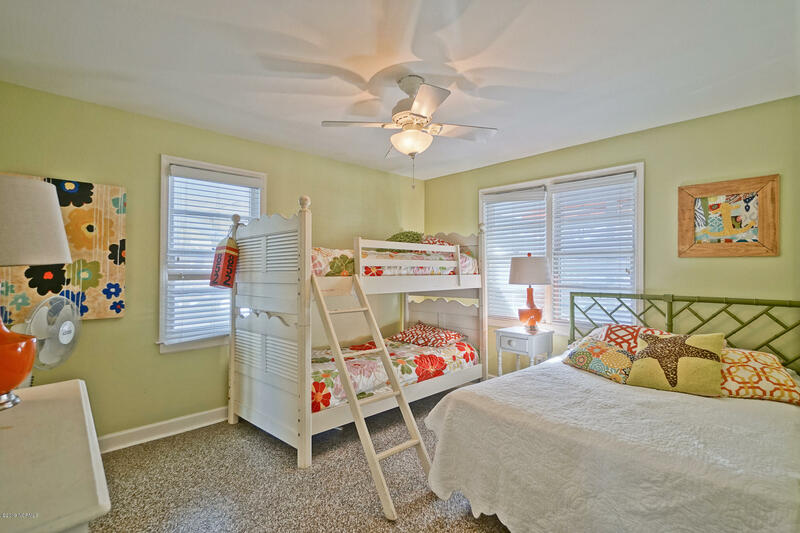 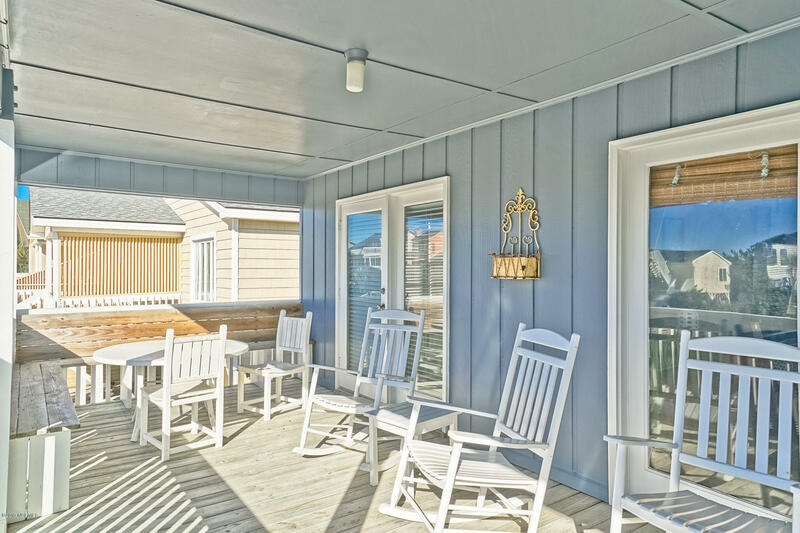 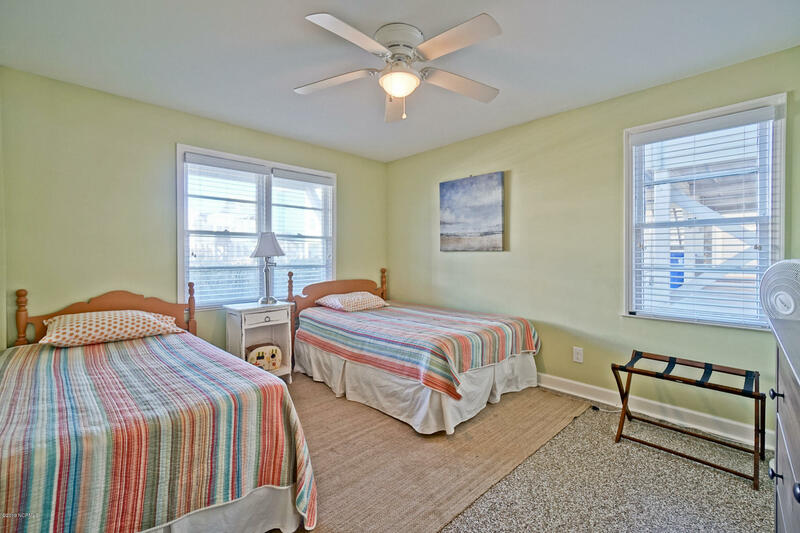 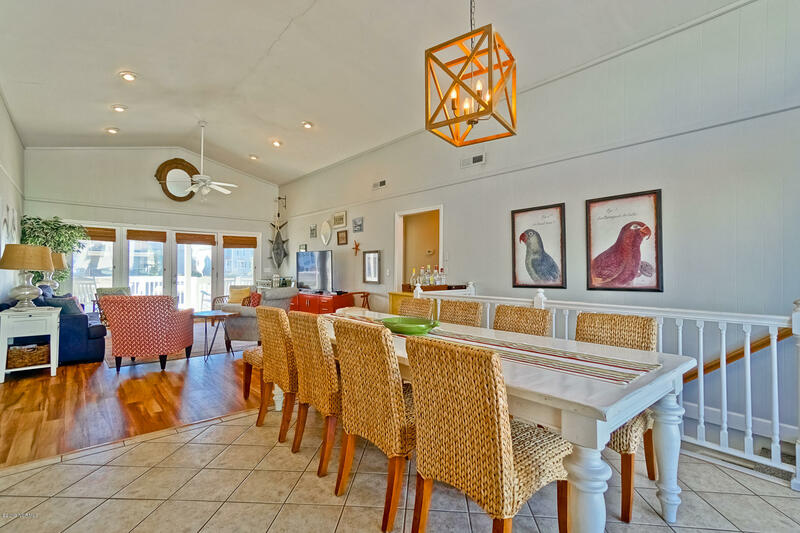 It is fully furnished with great flair including beautiful Pottery Barn table and chairs, and some beds which might give you an idea of the flavor and style of this rambling beach cottage! 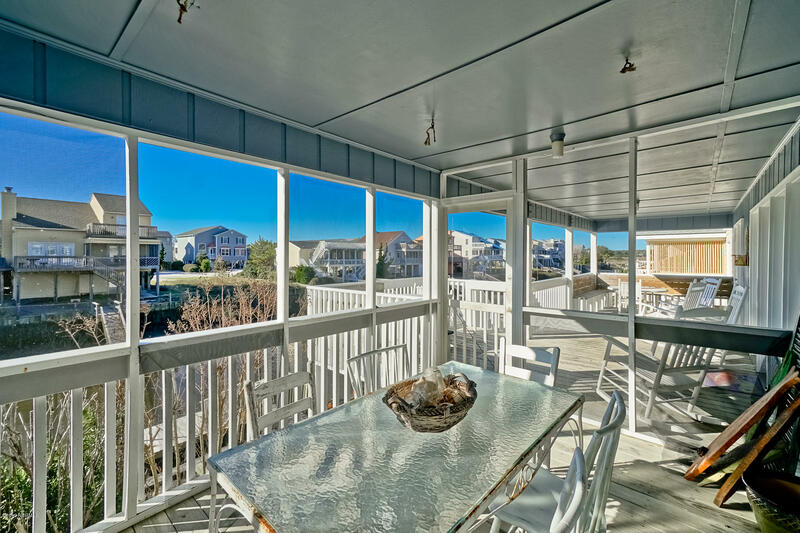 The screened porch and decks galore offer gorgeous views of the canal and bay views from the large front porch. 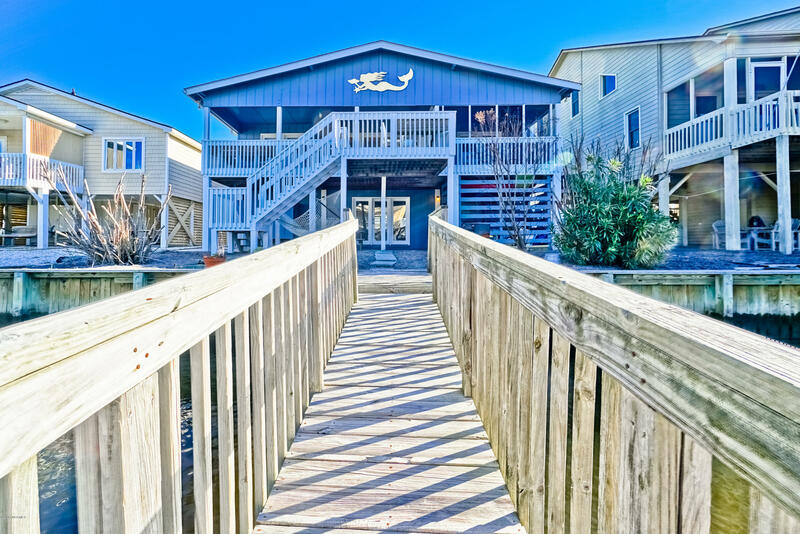 The floating dock and outside shower, and the short walk to the beautiful white sandy beaches of Sunset Beach...add to your ticket to paradise! 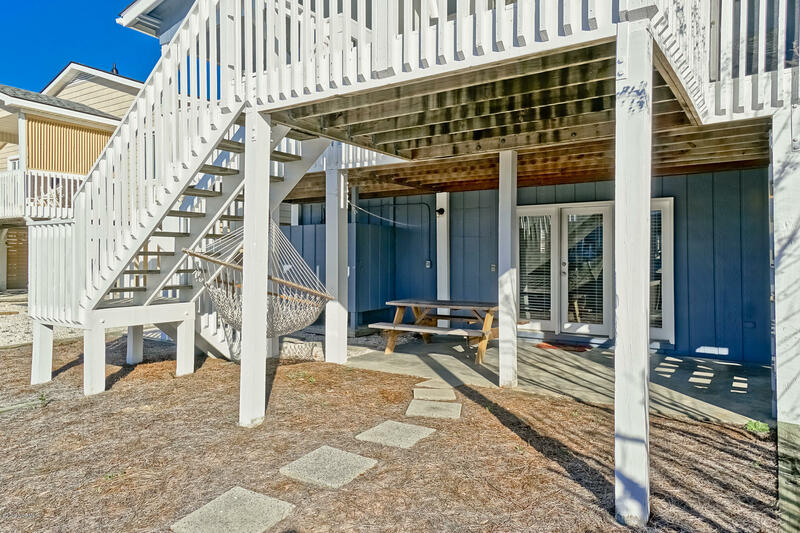 This home, "Tipsy Turtle" boasts such a tremendous rental income and it's only rented in the summer. 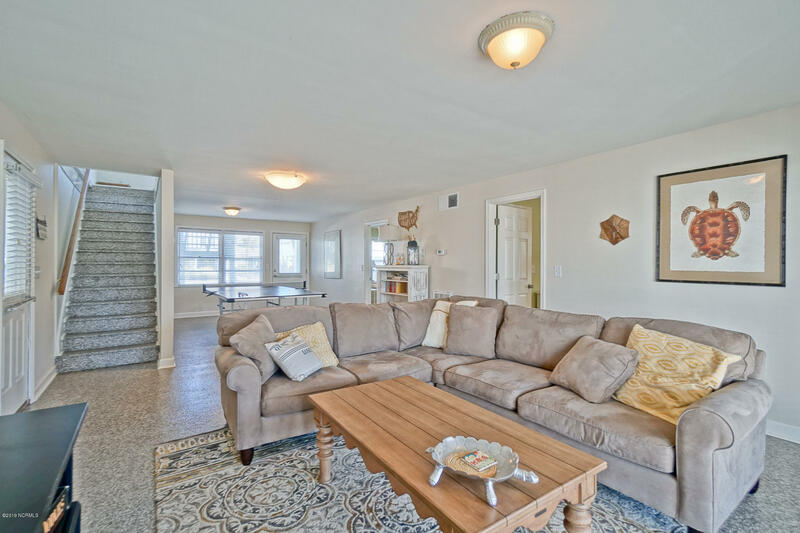 Folks, this is a must-see so please call today for details!